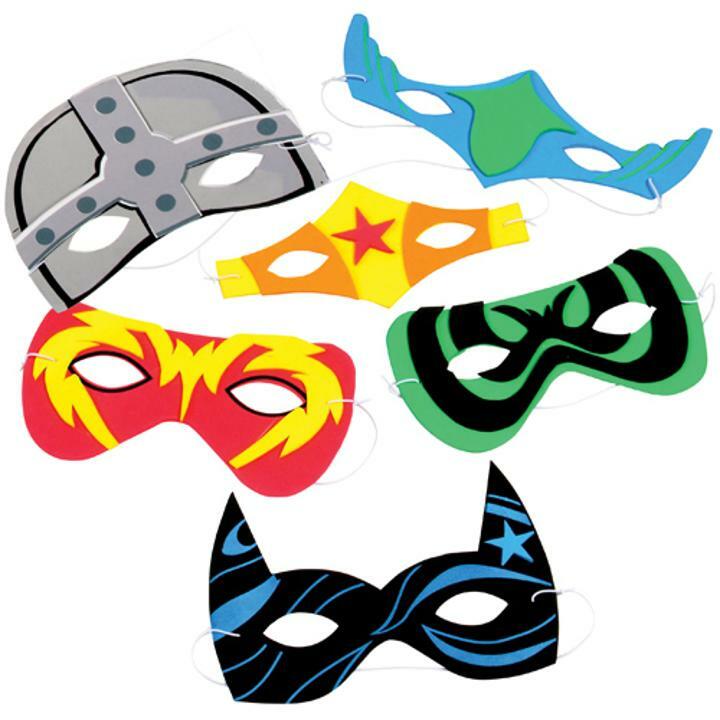 Sizes range 7" W. - 8 3/4" W.
Ignite their imaginations with these assorted foam superhero masks. Kids will love creating their own superhero persona to match their disguise, making for a fun party game or give them as party favors at your next superhero-themed bash. An entertaining addition to any pretend play adventure! L: 9.0 in. W: 1.85 in. H: 10.75 in.